Vratsata Gorge is situated in "Stara Planina" Mountain (Vratsa Balkan Mountain range), in very close vicinity to the picturesque town of Vratsa, at about 300-400 m above sea level. 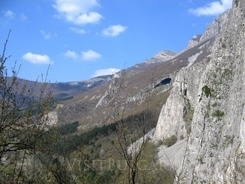 The area is easily accessible from Vratsa (5 min. by car or bus), and the town is situated at about one and half hour drive from the capital Sofia. 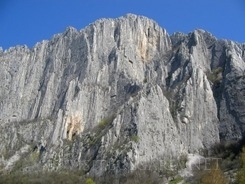 The limestone of Vratsata Central Wall and the other rocks offer unique possibilities for climbing and alpinism. There are about 116 alpine rock routes for rock climbing in the area. The maximum grade for free climbs on UIAA is VIII or even more. The most interesting and challenging from all climbing possibilities in the area is "The Central Wall". It is spread about 450 meters high and is almost a vertical one. It is not only huge and majestic, but it also takes the breath away and offers all kinds of the rock technical phenomena. The nearby vicinities offer many opportunities for different kind of sports, including, velotourism, mountain biking, deltaplanerism and paragliding, as well as many eco paths, leading to unforgettable natural sights of unique beauty.